If you haven't been paying attention to the topic of Net Neutrality, now is the time to jump on the bandwagon. 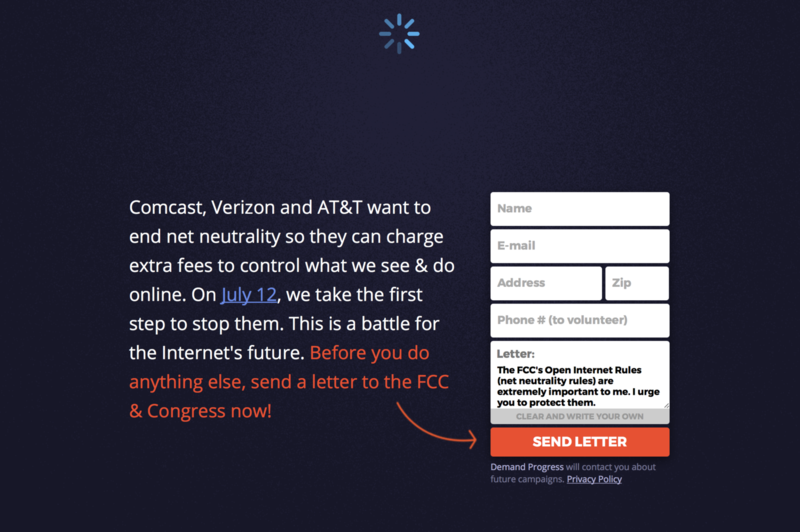 To save the long explanation, take a quick visit to Battle for the Net for more info on what exactly is going on and how to add your name to the growing list of independents everywhere in support of Net Neutrality. 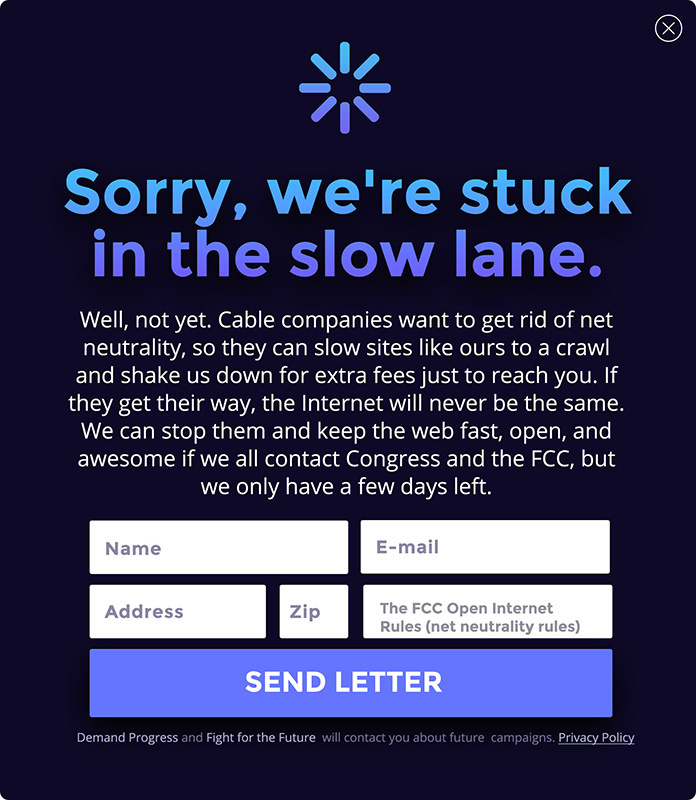 To see the long list of companies valiantly taking this stand in support of Net Neutrality, check out their post. Just to name a few of these companies, and to deliver the point via "TLDR": Amazon, Etsy, KickStarter, Netflix, Twitter, Vimeo, Reddit, DeviantArt, Discord, Dropbox, imgur, Newgrounds, Patreon, Pinterest, Slashdot, Soundcloud, Spotify, stackoverflow, ThinkGeek, Tumblr, Yelp, the list goes on... and on. Another great resource for details comes in the first three minutes and twenty-seven seconds of the Wednesday, July 12th episode of the Philip DeFranco show. At its core, the repeal of our current Net Neutrality would allow ISP's to regulate the speed at which we all access websites. This is not a regulation of the internet speeds which you pay for at your home, it's regulating the speeds at which certain websites can actually respond to your requests for information, via an auction block. The FCC has announced they are open to receive comments from the public until Monday, July 17th. Tuesday, July 18th will be too late. 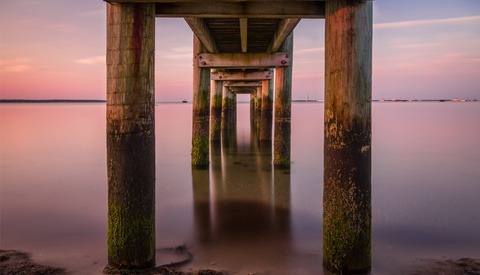 What Does This Have to do With Photographers Everywhere? I'm glad you asked! The following example is entirely based on the potential outcome of our Net Neutrality regulations becoming repealed, this is an effort to educate the creative community on it's impact, should this ruling strip us of said Net Neutrality. I'll skip the big points of impact for larger companies like Netflix, Hulu, YouTube, etc. who could end up charging more of their consumers and paying less to their creators. Let's jump straight to the medium-sized and little guys. The big picture here is that the trickle-down could affect news sources (i.e. Fstoppers, CanonRumors, NikonRumors, DPReview, FlashHavoc, etc.) and search engines of all sizes. How info is accessed and located by most people is filtered through a variety of outlets. Most people get to a website from somewhere else, like another website. If you can pay to have your content delivered faster, control over content is more likely to follow. It's not just cable programming, it would open up the potential for ISP's to throttle everything, only allowing those domains who pay a fast bandwidth type fee (or tax) to receive the full bandwidth capacity for their sites. The breadth of these implications are actually quite large; limitless, I'd say. The take away here should not be that some photography blogs would be affected, it's that all creatives would be affected. How would these new regulations affect the little guy? Right now you have the option to use your favorite search engine to find all the education you want, on any creative topic you want. You can create your own classroom at your own pace with your own style because the internet is open and we have Net Neutrality. By definition, it is neutral. 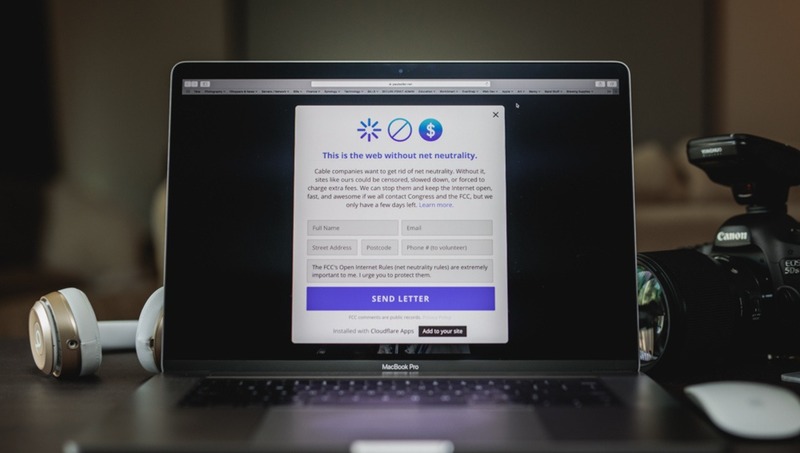 If Net Neutrality is repealed, ISP's would have the legal right to ransom the speed at which your favorite sites are able to deliver said content. This would be true to such an extent that it could be rendered pointless to even try with some sites. This can be best viewed in an actual real-world example that has already transpired between major ISP Comcast and major video streaming service Netflix. Here is a graph accompanied by a quote from John Oliver's segment on the topic. 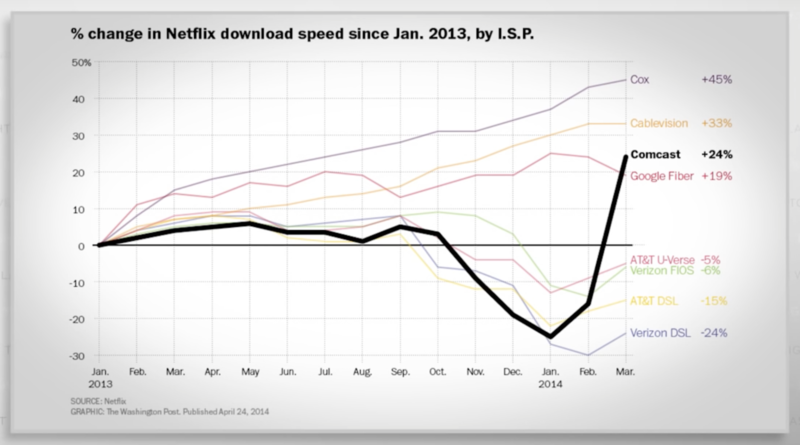 This graph shows Netflix download speeds on various providers. 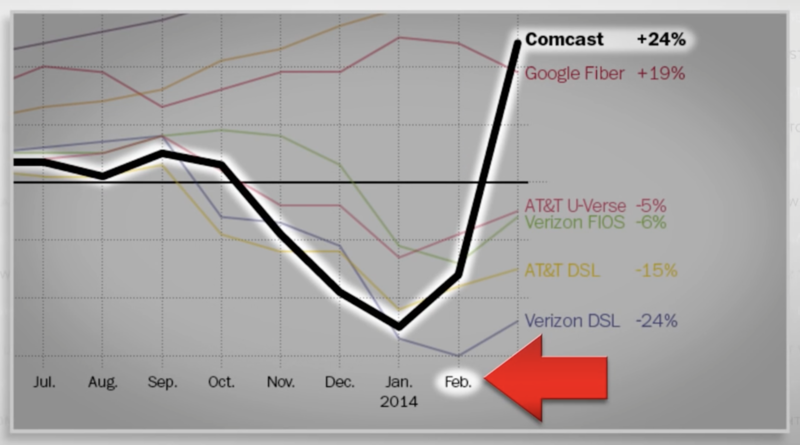 That black line plummeting downwards was their speed on Comcast during the negotiation. See if you can guess when Netflix agreed to Comcast demands. I'll give you a hint, it's right there. While Netflix isn't directly a Photography service, Netflix does contain several Photography documentaries as well as creative series like Abstract and Tales By Light, which I have sincerely enjoyed. The idea that I could have been deprived of those in any way simply because a gargantuan ISP wanted to line their pockets that much more makes me, quite frankly, sick. *Disclaimer: The following paragraph is the most hypothetical of this article. It is designed this way to more clearly convey the message. Let's take this very website for example. If any ISP wanted Fstoppers to fork over an arbitrary amount of money just so that we could be allowed to deliver reasonably speedy content to our readers— or worse, be allowed to deliver ANY content to ANY particular geographic area, this could mean you wouldn't receive said content. You could actually have this website completely blocked in your area, all just depending on your ISP. That goes for anyone, at all. "Are you looking for a Wedding Photographer in the area? Well since you have AT&T supplied internet, you get to see these photographers in your area. 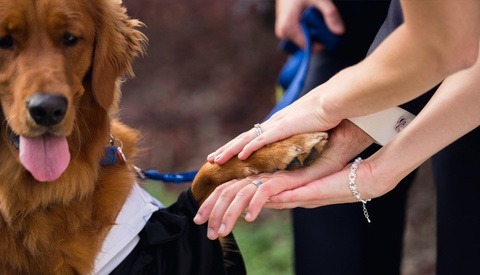 Your friend only five minutes down the road is getting married at the same time and found a great photographer who she thinks you'd love? Tough luck. That photographer didn't pay to be seen by your ISP. Turns out, your friend has Comcast internet and that Photographer could only afford to push their site on one ISP this quarter. You could always go check them out using the internet at your local coffee shop... wait, nope... that shop's ISP is also AT&T just like yours, and you need Comcast internet to find that photographer. Ok I'm stretching, but you get the point, right? We're not only facing the potential to lose our internet freedom but also our businesses. This is HUGE. If WordPress or Drupal or Blogger— or think smaller, Pixieset, 17Hats, Táve, Later, Shootq, Shootproof, Photoshelter, Fstoppers, SLRLounge, DPReview, etc. haven't paid their fast bandwidth tax; now any links back to their sites are throttled. The Photography community comes to a screeching halt; education, photo delivery, CRM, blogs, you name it. So now subsequently the amount of time it takes to upload 1,000 images to Pixieset just multiplied for the worse. In turn, client deliverables just took two steps backwards because a client's ISP won't let a photographer's image hosting service have that much bandwidth unless they pay up. 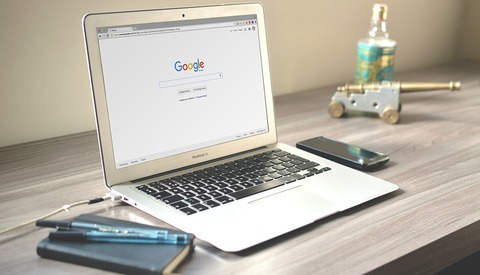 Google's algorithms already prioritize sites that run more efficiently. If Net Neutrality goes away, search engine results will begin to become prioritized by those who have the cash to ride in the fast lane. This isn't Google, Yahoo, Bing, or Yelp taking payment for rankings— this is rankings changing based on those who can afford the increased distribution costs. 1. Our favorite news sources, education blogs, photo hosting services, CRM's, and much more are all forced to relay the increased cost of operation down to us, the consumers. Cost goes up, but life goes on. 2. Our favorite sites don't pay up and they begin to get lost in the wash.
3. We don't let it happen. We fight to keep Net Neutrality and keep the dream alive that anyone can learn a craft on their own and build a business from scratch without having to pay a premium for a leg-up on the competition. Now, this is a pretty heavy-handed approach, I admit. I do want hear if you have a difference in opinion though. Do you think Net Neutrality is this important? Are you already, or are you going to now get involved? For which side do you advocate? I am genuinely curious to hear another side of this argument, especially from fellow creatives. Great article. Def a huge topic right now. We need to be fighting for this. Thanks Katie! Couldn't agree more. Interesting... why isn't enough being made of this? This should not even be a debate... How could anyone let this happen? it's too easy to make it seem like it's not about the big picture so people don't see what is happening till too late. Plus these big companies are good at making it seem like they want to save you money. Not sure if this was pointed out in the article, but this also means that the cable companies would be able to charge YOU, the consumer, to access sites as well. "Oh, I see you like to watch Netflix. We can sign you up for our premium entertainment package with faster speed to stream HD content for only an additional $29.99 per month!" 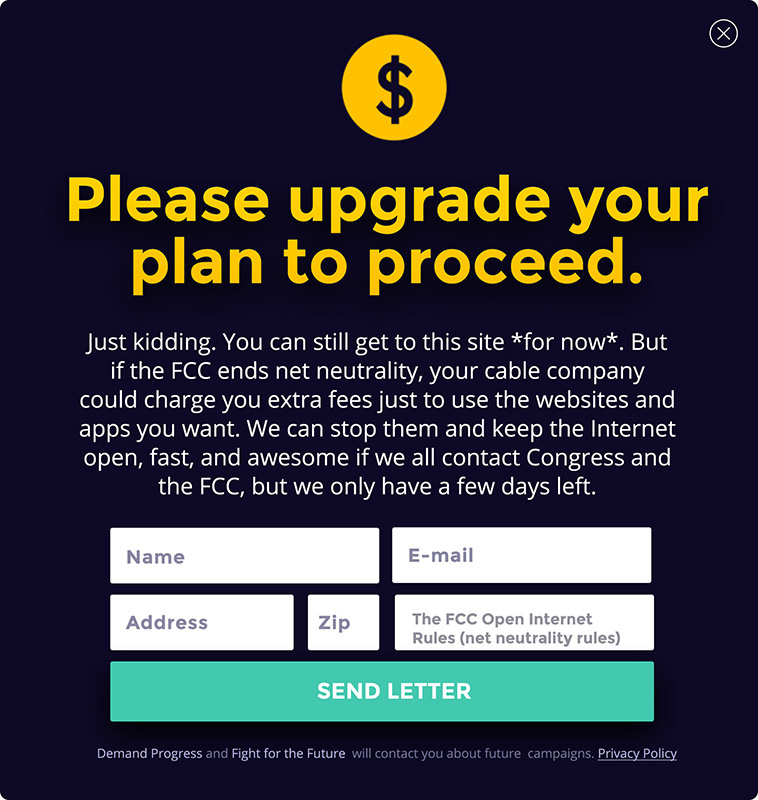 Seriously they can, and will, do this if net neutrality goes away. It's the only reason they are fighting it. If they weren't going to do these things, which is what they are saying, why bother? Cable companies exist only to make as much money as possible and of course that comes from us. And remember the only party who supports this at the voting booth. Exactly, John. I like to imagine them flailing their arms around and screaming like Violet from Willy Wonka and The Chocolate Factory— not satisfied with the candy they have, wanting daddy to buy them the factory. This is a topic all CITIZENS need to be aware of. Monetizing every mouse click is a real possibility, not fantasy. I would note the exuberant forest of fees that have sprung up in the banking world as an example. Completely agree that this is definitely a national topic, not limited to any subset of internet users. What forest of fees are you referring to? A fee to receive a wire transfer, a fee to send a wire transfer, a fee to make more than 5 deposits in one month, a fee to make a night deposit , a fee to use a non-bank ATM, a fee for writing more than 20 checks per month, a fee for statement copies, a fee for funds verification and so on. Not all banks have all these fees but some have most. Tinfoil hats for you guys... Lil green men in the Whitehouse is possible in a make-believe world too but it's as false as this propaganda above. Government control of anything is never a good thing. Everything the government touches withers and dies. It's useless to fight, I have lost all hope, the party that hates net neutrality is in complete control of the government and they are going to get rid of it in a few days. End of story. I refuse to believe this, and I don't believe I am doing so blindly. I know many people feel this way because our voices are so desaturated these days, but the facts remain that common citizens DID win this fight already in 2015. Our latest administration has brought this back to the table and it's our (everyone's) job to step up and be heard again. To let them know we haven't changed our minds, and we won't. When bureaucracy gets involved, everything goes to hell in a hand basket. Net neutrality is a scam, to take free enterprise out of the equation is the beginning of higher prices and rotten service. Competition is key for innovation and lower prices. I remember when Ma Bell was broken up, within ten years we had affordable cellphones. Breaking up Ma Bell allowed for competition, not sure how ending Net Neutrality fosters free enterprise. We're still stuck with local cable (internet access) monopolies and ending Net Neutrality only gives them more options to act like Ma Bell before the breakup. My opinion is, anytime the federal government gets involved in a regulatory way, we head in a direction to a place that is paved with good intentions. Net Neutrality will lead, firstly to a fee for email, then to big franchises. I imagine the current players in the ISP market will aggressively “lobby” for these franchises and will most likely get them. A natural monopoly in a region for ISP is simply not necessary. Excellent write-up Paul. I fought hard to make people aware of the first attempt to kill Net neutrality that led to what laws we have in place now. The fact that this topic is open for discussion again is clearly a sign of recent changes at the FCC. Compare how we access cable and television from companies like Comcast and At&T. It's full of fees and a la carte like bundles we don't have much choice in. This is what our internet could look like without Net Neutrality. Another great example that internet providers are already doing is how cell phone service providers don't charge mins or msgs from their users against their available plan. If everyone in your family has AT&T then msgs to and from them dont affect your plan. Imagine an internet where you dont get charged against your data cap because you get your news from a site owned by your provider. Or uploading large files to the cloud is free if you use google drive vs dropbox or amazon because you have google fiber. They say that this isnt what they want to happen or that these changes wont have this affect. But the way they run their cable and cellphone divisions is proof that thats how they want the internet to run. Exactly. 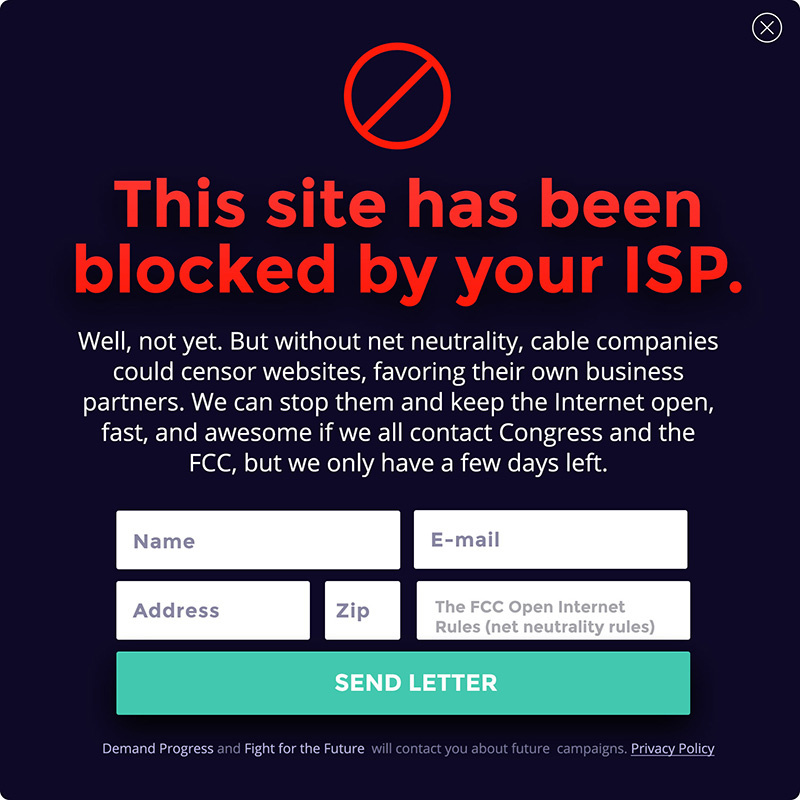 While there are ways to spin the sound of a world without Net Neutrality as enticing, it all comes down ISP's monopolizing markets and destroying the freely open internet as we know it. What I don't understand about this issue are the fees for "throttling". Well, I do understand. It's greed. But, I digress. When someone buys an Internet connection with a certain amount of bandwidth attached, having a larger pipe than the next guy should get you more visitors on its face, no? I mean, you pay for a bigger pipe, more of your content gets in/out faster. So, why, then, in a scenario of two entities with the same size pipe should one pay more to move their content faster than the other guy. They have the same bandwidth. Way back in the day, it was the size of your pipe that got you speed. Not some cockamamy fee. Completely agree. As it stands, the internet's backbone only has a few real top level ISP's (Internet Service Providers; a.k.a. cable companies). With our currently active Net Neutrality regulations, all ISP's are legally bound to play nice with each other (more or less), being 'Neutral'. In a world without Net Neutrality, the size of our pipes to those ISP's won't have to change to make a difference because those ISP's won't have to be cordial. They'll be allowed to pick and choose who gets the traffic, how much of it, and when— regardless the size of anyone's pipes. So, hypothetically (picking arbitrary name brands here with no hidden intentions) if you do business with AT&T who in turn has an exclusive deal with Netflix, you get 4K streaming at no extra cost. But if you have Google Fiber, you only get 720P quality / speeds. This is a step backwards towards the days of bundled cable television, when I'm personally an advocate for à la carte everything. Now ... the REAL KICKER in ALL of this, is that you and I each probably only have 1 option for an ISP at our homes. I used to live 10 miles across town and could ONLY have Time Warner Cable / Spectrum. There were people I knew 3 miles away who got Google Fiber right before I moved. Where I live now, I can ONLY have AT&T. IF (BIG IF) we all had the option to pick and choose our landline internet providers like we can our cell phones, this would STILL be a cause worth fighting for, but it would be one with at least a compromise because we could choose to pay for the packages we wanted. As it stands, because our ISP options are SO broken and monopolized, the repeal of our current regulations would be, in a word, tragic. What's worse is that our government is allowing this. It seems the definition of "free markets" really means their freedom to screw over the public. is it going to happen just in US or across the globe? I bet this crap won't happen in Europe! The whole net neutrality is nothing more than a government takeover of the internet...remember the train wreck and nightmare of Obamacare.... You know that whole bill of goods about keeping your doctor and the cost going down $2500 when in reality Doctors fled and the cost went up thousands while choices went down... Government control is never freedom.